On the Lookout for Professional Window Cleaning Services in Nellysford? Nellysford is a great place to have gutter services done. We often don’t think of our gutters whenever we think about the condition of our rooftops, but gutters are the security that our roofs need to be able to deliver years of practical usage. If you’re in need of a gutter service; don’t forget to call Cavalier Window Cleaning & Power Washing. A working gutter is one without any flaws or damages. After a storm; it’s not very uncommon for the gutter to become damaged. We see this all the time as they hang haphazardly from the sides of homes all over the Virginia area. Damage like this calls for gutter repairs. 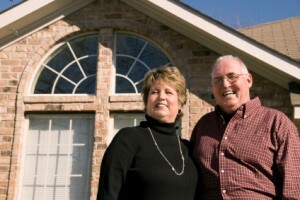 Our crew will come out and immediately repair your gutters keeping them from further despair. As mentioned above; you need to keep the gutters in the best of shape in order for the roof to be at a functional level. If your gutters cannot be repaired, they will need replaced. Water that’s not able to be filtered off the roof will remain up there and damage it. Water damages can often end the life of a roof calling for an early replacement; which is very costly. If you’ve decided on take on window cleaning on your own terms and have expected professional results; you’re going to need to buy a lot of expensive equipment that you’ll probably only use once in your lifetime. Your garage floor is more than likely something that you have never put much thought into, but what about storing a classic car? We bet that you have put more thought into that than having it cleaned. How can you store a classic car with dirty floors? Cavalier Window Cleaning & Power Washing has the power to fix your problem. Our pressure washing service allows for your garage floors to be cleaned and take off all the built-up grease and other grime that your cars have leaked for so many years. Call for our power washing and also window cleaning services and kill two birds with one stone. We’ll get your garage and your exterior looking new again. And don’t forget about storing that classic! If you are looking for a Nellysford window cleaning & Power Washing Company then please call 434-823-1737 or complete our online request form.